Veteran electricians share tricks of the trade they wish their customers knew. Interested in simple and easy ways to save time and money with common home electrical problems? Read on for some tips and insights from veteran electricians about issues you might not be thinking about. You'd be surprised how many people keep furniture, storage or stacks of stuff blocking off access to the breaker box. Don't make your electrician squeeze past Aunt Harriet's scrapbooks so they can do their job. Similarly, if you know where your electrician is going to be working, move furniture and delicate items away from that spot if possible, and provide them the biggest possible work space. If your electrical efforts caused the problem, such as a DIY job gone bad or you hired a local handyman who didn't know what they were doing, tell your electrician about it up front. Even if you're a little embarrassed about a screw-up, it saves time (and therefore your money) that the electrician would otherwise spend tracking it down. 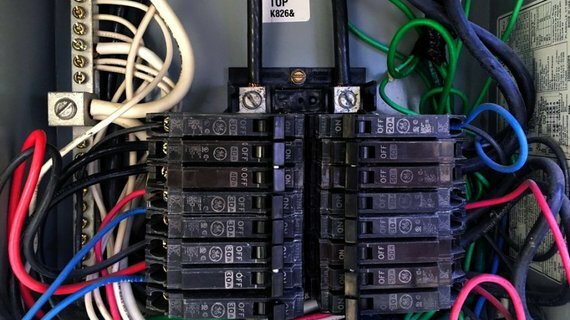 Before calling an electrician for a problem, run through all of the basic possible causes. If a light's not working, try more than one bulb -- you might be working with bad bulbs. Check the circuit breakers and the reset switches on GFCI outlets. Electricians tell us they're amazed how many people don't check those two things before they call in a problem. Same with power outages -- see if your neighbors lights are on before you call an electrician. To read more secrets, check out the original article Secrets of an Electrician here. This article originally ran on Angie's List and is part of a series on the topic of Home Electricity. The series aims to educate readers about problems with the electricity in their homes. For more information about Angie's List, visit AngiesList.com.